By bike: The fastest way to get to Lippoldshausen from Hann. 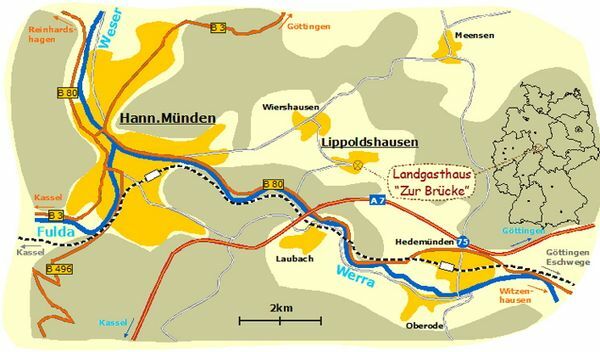 Münden is to take the B80 and cross the Ilk-valley (about 6 km). However the more beautiful way is to ride along the river on the Werra-valley hiking trail.